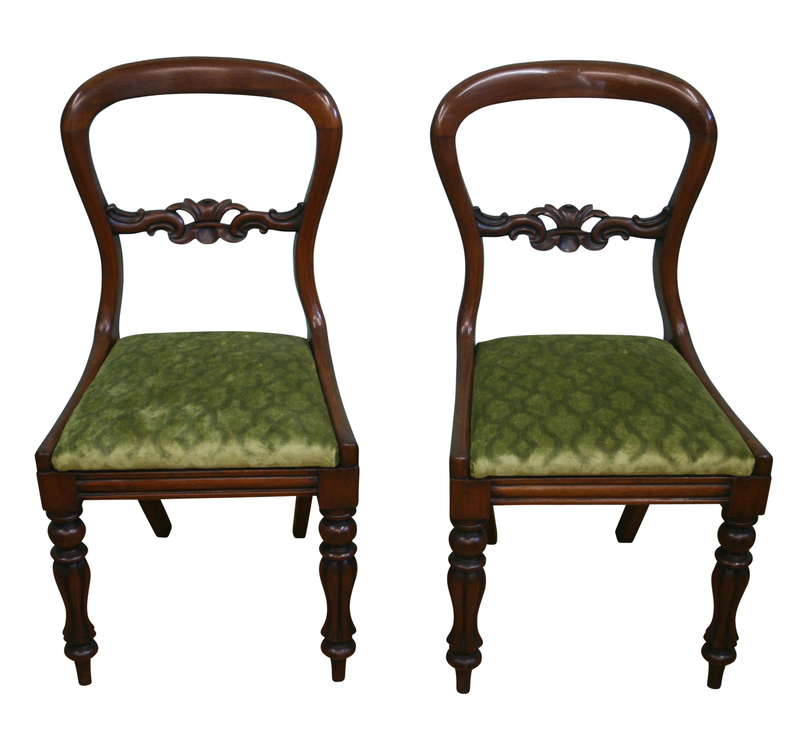 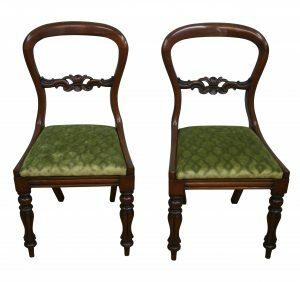 A pair of Victorian mahogany balloon back side chairs. 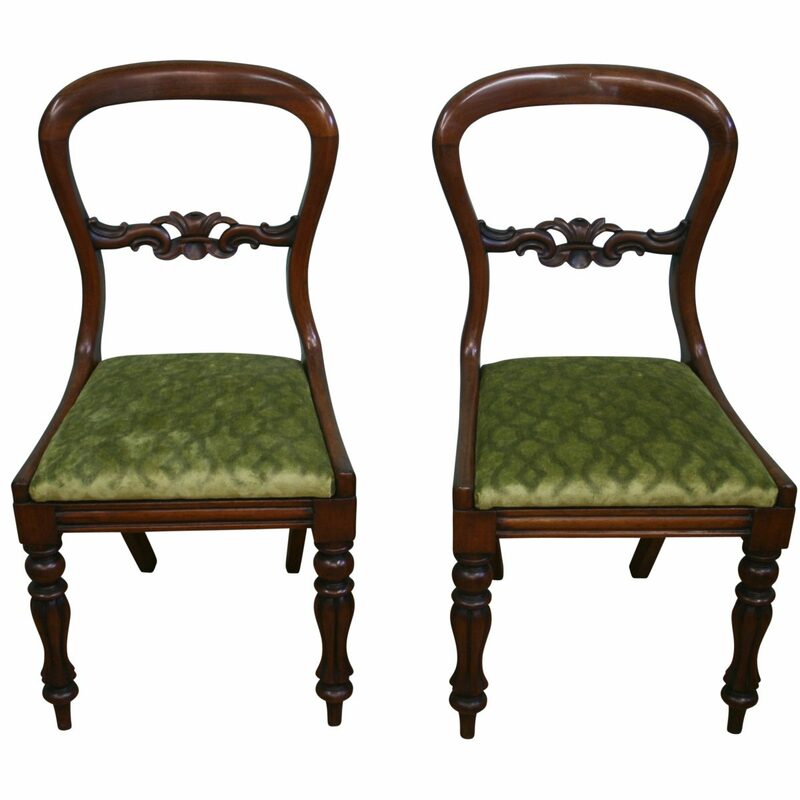 The back splat is carved with scrolls and leaves. It has a newly re-upholstered drop in seat. 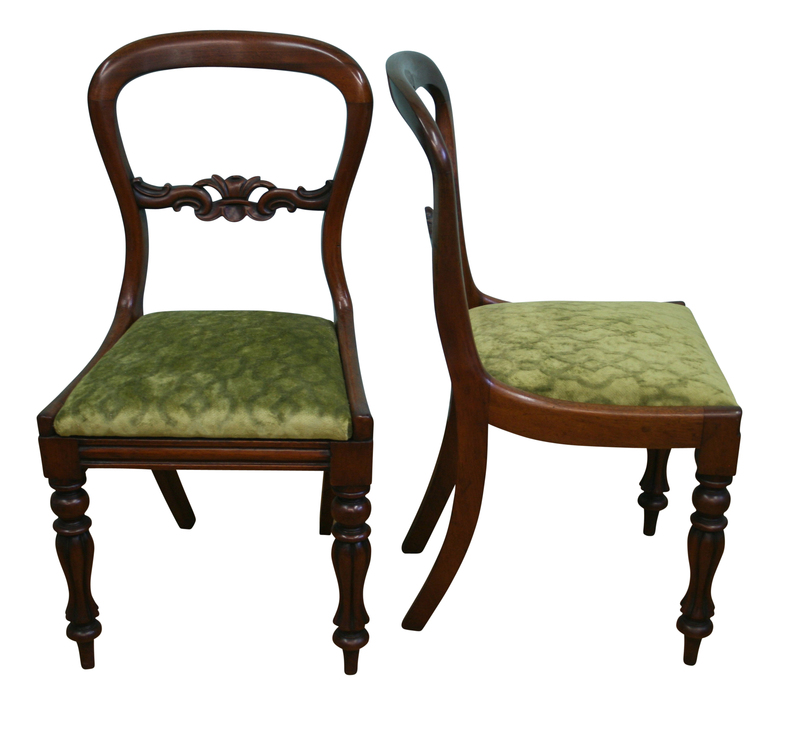 The front legs are turned and reeded, with out swept back legs.